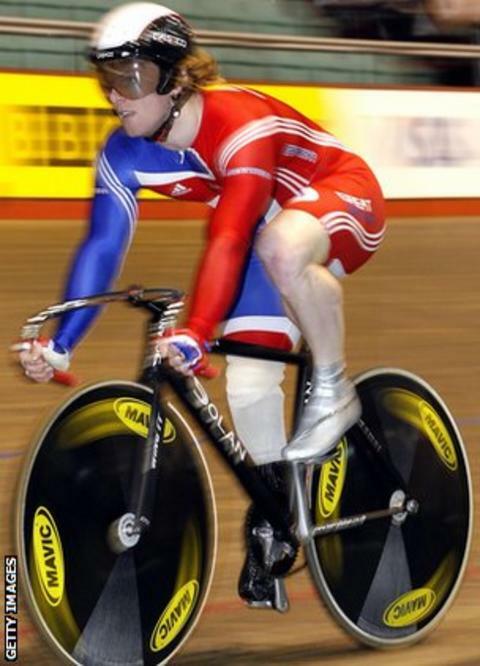 Great Britain have won four more gold medals on day three of the Para-Cycling Track World Championships. Multiple World and Paralympic champion Darren Kenny improved on his silver in the C3 3km pursuit on day two with victory in the C3 1km time trial. Wins also came for Jody Cundy in the C4 1km time trial, Jon-Allan Butterworth in the C5 1km time trial and Sarah Storey in the women's C5 3km pursuit. Team GB now have seven gold medals going into the fourth and final day. Cundy, unbeaten in the C4 Kilo since 2006, said: "It's pretty tough out there. "I don't know what it is, whether it's the air con or if weather conditions have changed, but you just don't have the same sensation of speed that we had here when we arrived. "Still, I'm quite happy to come away with less than a second outside my PB and a lot of good data to take away. "It will be good to go to London as world champion." Butterworth's win also saw him reclaim the world record in a time of 1:07.212 - having earlier in the time trial seen China's Xingyang Liu break the mark he set in Montichiari in 2011. Butterworth was the last rider to compete on Saturday and suggested he could have gone even faster. "I felt awesome on Tuesday and today it felt as if I was going slower than in training," he said. "Still, it's nice to break a record and I'll try and put it right for London." There was also a silver medal on day three for Mark Colbourne in the C1 Kilo. Colbourne had earned gold in the C1 3km pursuit on day two. Shaun McKeown picked up bronze in the C3 kilo. The competition concludes Sunday with the men's and women's tandem sprints and the mixed team sprint.